Red Wine, Green Tea and Dark Chocolate: What I'm reading....Food Not Lawns! 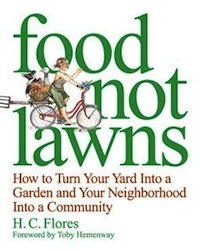 What I'm reading....Food Not Lawns! Food Not Lawns combines practical wisdom on ecological design and community-building with a fresh, green perspective on an age-old subject. Activist and urban gardener Heather Flores shares her nine-step permaculture design to help farmsteaders and city dwellers alike build fertile soil, promote biodiversity, and increase natural habitat in their own "paradise gardens." But Food Not Lawns doesn't begin and end in the seed bed. This joyful permaculture lifestyle manual inspires readers to apply the principles of the paradise garden—simplicity, resourcefulness, creativity, mindfulness, and community—to all aspects of life. Plant "guerilla gardens" in barren intersections and medians; organize community meals; start a street theater troupe or host a local art swap; free your kitchen from refrigeration and enjoy truly fresh, nourishing foods from your own plot of land; work with children to create garden play spaces. Flores cares passionately about the damaged state of our environment and the ills of our throwaway society. In Food Not Lawns, she shows us how to reclaim the earth one garden at a time. 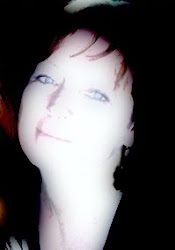 Order it from Amazon by clicking here. Slimming tips...learn to love artichokes!